Heartlands Hospital governor Andrew Lydon hits out at regulator Monitor as new boss ready to be parachuted in to lead troubled trust. The massive Heart of England NHS Trust has been “driven into a ditch” by watchdog Monitor, according to a governor. 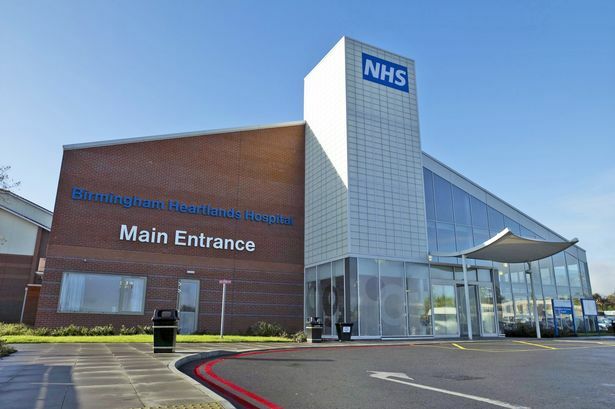 This week, the huge organisation, which includes Heartlands, Good Hope and Solihull hospitals, was told health bosses wanted to parachute Queen Elizabeth Hospital chief Dame Julie Moore and former Home Secretary Jacqui Smith in to lead the troubled trust. The health regulator Monitor launched an investigation into Heart of England after reports it had racked up £30 million of debt in just five months – and said that “it must be fixed”. But Heartlands Hospital governor Andrew Lydon blasted Monitor’s investigation, saying it “had been back-seat driving the trust for a year and driven it into a ditch”. Mr Lydon said governors were “furious” at the handling of the investigation by the governing health body, which has been overseeing the trust since November after questions over its leadership and finances. Monitor announced on Tuesday it was seeking to appoint Dame Julie Moore, who runs the University Hospitals Birmingham (UHB) NHS Foundation Trust, as interim chief executive. Mr Lydon said governors were due to meet on Thursday evening to approve the proposals. “The governors are furious,” he told the Post. “Last year we were told that this could happen but this year the handling is worse. “For the last year Monitor has been back-seat driving HEFT, and they’ve driven it into a ditch. Monitor launched an investigation into the Heart of England Trust , after reports it had racked up £30 million of debt in just five months. It is one of the biggest trusts in the country, employing around 11,000 staff, and treating more than 1.2 million patients each year. It announced it wanted to use its regulatory powers to appoint new leaders, after it found the trust. Under proposals, Dame Julie Moore would step in as interim chief executive, while UHB chair and former Home Secretary Jacqui Smith would join her. She will replace Les Lawrence as chairman at Heart of England, who is due to step down in November. But Mr Lydon warned that Dame Julie would have a huge challenge getting HEFT staff onside, due to a culture of fear against UHB cultivated at the trust. “For some reason there is a lot of propaganda against UHB at the trust,” he added. “Health care on the east side of Birmingham is very poor compared to the west, and there is a lot of fear that has been cultivated. “I will not oppose the proposals, as we don’t have any alternative. “It’s crucial that the situation is progressed quickly, to find out where all this money has gone. “Locum and agency staff has been pinpointed but it can’t all be down to that. In February, UHB confirmed it had been approached to help stabilise the situation at the Heart of England Trust . However, interim chief executive Andrew Foster was appointed by the trust instead, along with improvement director Diane Whittingham, who was appointed by Monitor. The Heart of England Trust stated that Mr Lydon’s comments did not represent those of the Trust. A Monitor spokesman added: “Heart of England is a trust facing significant challenges. “Like all foundation trusts it is an independent organisation under the regulation of Monitor. As its regulator, we’ve taken action in the past to fix individual problems in the trust. Now that the trust has run up a deficit of £29.5 million and both the chief executive and chair posts have become vacant, we are planning to step in again and take more significant action. “We are taking the opportunity to appoint two individuals who are well regarded as excellent leaders within the NHS to turn this trust around.